Here are some recent artworks of mine! Some of you may have already seen some of these from my posts on other forums. I usually focus on digital arts but recently I've really loved getting my hands busy with watercolors and sculpey clay. I never knew I could have this much fun! I'm afraid I'll never go back to doodling on my iPad again. All of these have been done in the past month or so. 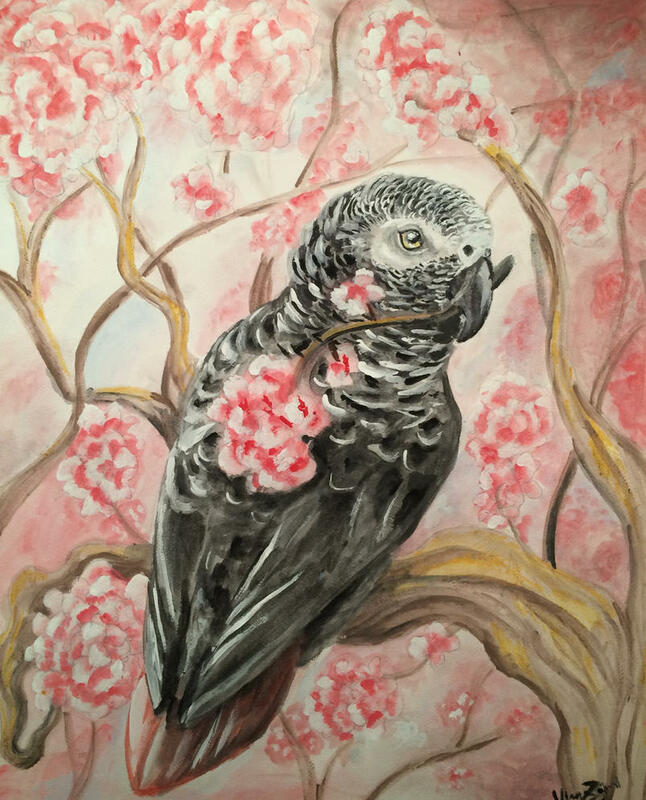 This one was donated to the A Helping Wing Parrot Shelter for their fundraiser auction. 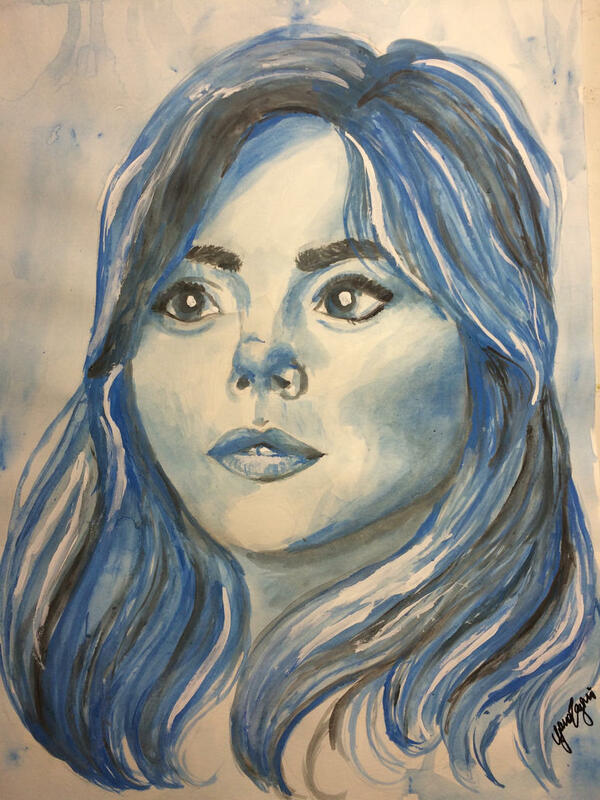 A portrait I did of Jenna Coleman, who played Clara Oswald in the Doctor Who series. 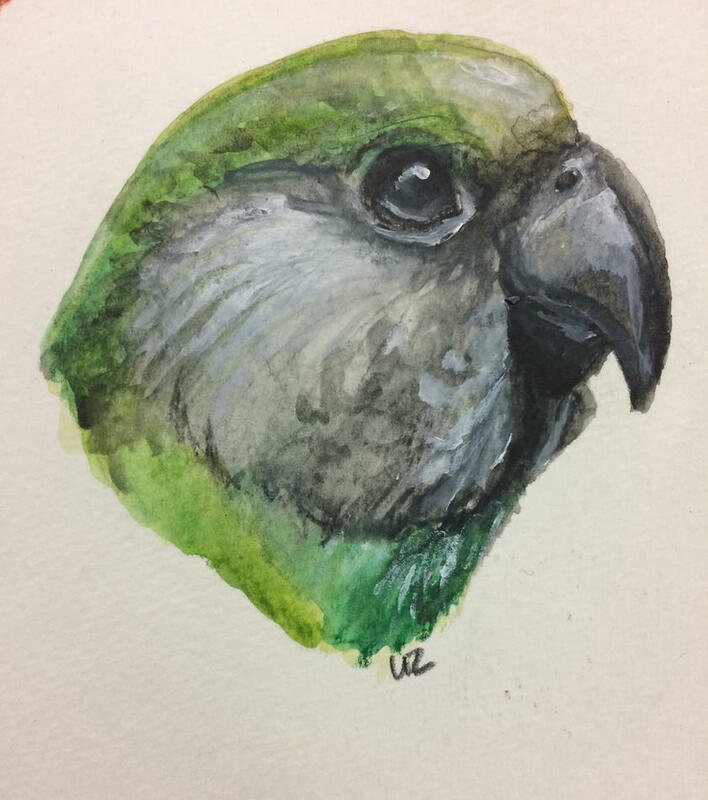 I rarely paint humans mostly because I'm usually terrible with them, but my new art class focuses on people and I've improved a LOT! Nose is a bit weird in this one, but I'm pretty proud. WOW!!!! Those are exquisite!! Thank you so much for sharing your talent. BEAUTIFUL. All of them!!! gorgeous artwork! i love how sweet and innocent you make their eyes look! really great job! 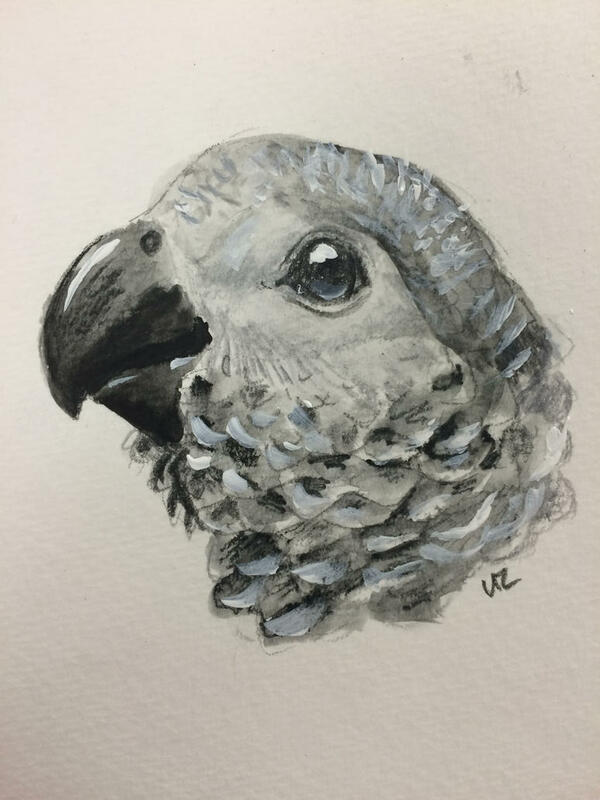 The headshots of the African grey and the senegal are part of a series of young versions of various parrot species, which is why they're supposed to look like, well, babies. So far I have the African grey, a Spix Macaw, a Senegal, and a Fischer's Lovebird. Hoping to get a lot of species done!